You were contacted by K'krohl on Belsavis to get your help destroying the Shield Bunker. You investiged the Shield Bunker on advice from K'krohl. You found it to be heavily defended and defeated its primary guardian. You have gathered enough supplies to earn K'krohl's help destroying the Shield bunker on Belsavis. You have successfully destroyed the shield bunker on Belsavis with the help of K'krohl. He has agreed to join your alliance and help you destroy the Star Fortress over Voss. 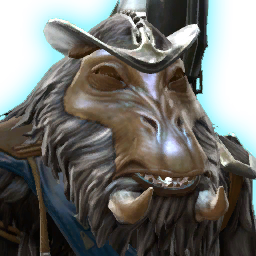 After destroying the Star Fortress over Belsavis, K'krohl has decided to join your alliance fully. Charges or strikes the target, dealing <<1>> tech damage, healing for the amount of damage dealt and generates a moderate amount of threat.